Rio de Janeiro was announced as the host city for the 2016 Summer Olympics in October 2009, allowing more than five years to plan and build the Olympic venues. 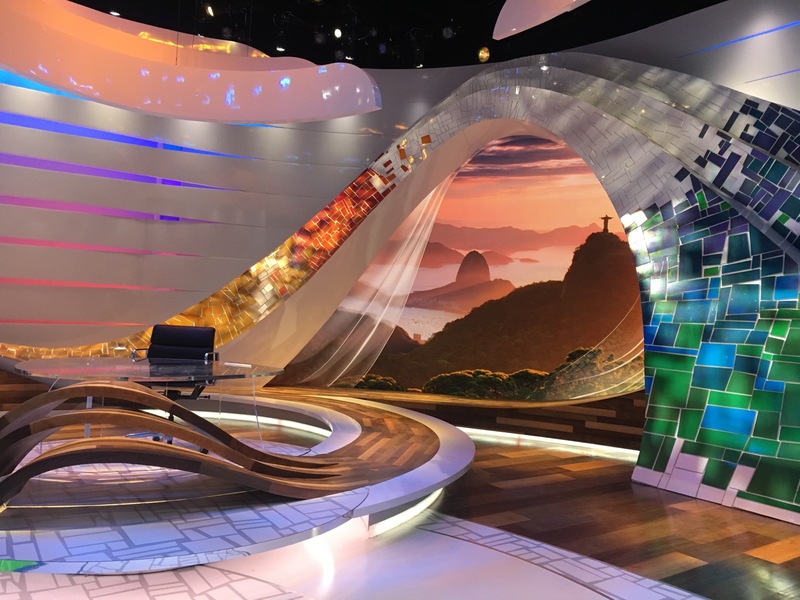 However, just five months before the games began, ReSource New Jersey was contracted to work with NBC Sports, HD Studio, and blackwalnut Fabricators on the design, procurement, fabrication, logistics, and installation of the NBC Sports 2016 Summer Olympics Studio. The entire project was installed and finished by ReSource New Jersey’s INSTALL-certified installation team. 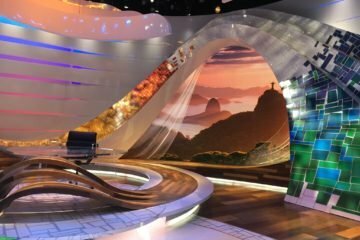 Working halfway around the world with limited supplies and time wasn’t a deterrent to this team of experts – it was an opportunity to flex their installation muscles and create a unique and stunning flagship studio. The finished product speaks for itself. The main focal point of the floor is precise-white vinyl tile laid out in non-concentric ellipses enhanced with metal shimmer accent tile and high glosses finish to dazzle TV audiences. ReSource New Jersey has a long-standing relationship with NBC Sports and the teams at blackwalnut and HD studios. 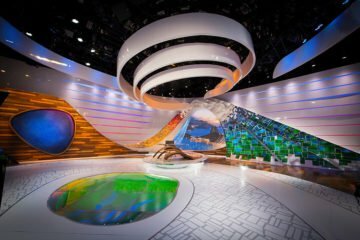 The contractor has completed projects at the iconic 30 Rockefeller Plaza for years, as well as NBC Sports Winter Olympics Studios in Sochi, Russia. Its reputation as a quality service provider with an INSTALL certified team has helped them grow rapport with each new success. 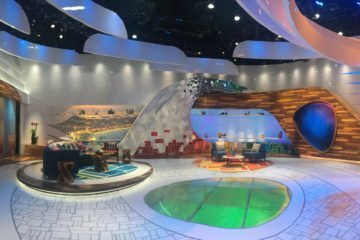 They are quick and responsive, and since most television studios are put together at the last minute, they have the experience to deal with logistical issues. This is an especially important qualification when working in foreign countries and on constricted timelines. This is why NBC Sports and blackwalnut came to ReSource New Jersey for the 2016 Summer Olympics Studio. One of the first challenges occurred long before the team ever stepped foot in Rio. The original design concept called for custom-printed flooring that could be installed in large swathes. Television studios like these are not large spaces, and there isn’t a lot of square footage visible on camera. Therefore, big suppliers and manufacturers are often reluctant to take the time to complete custom designs when they will only sell a limited amount of product. 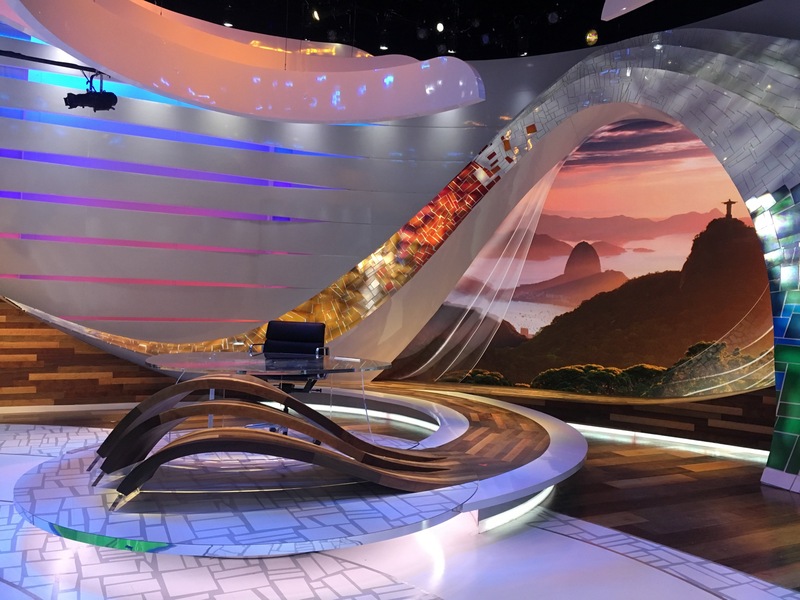 Due to this, the design intent had to go in a different direction, utilizing solid white vinyl tile with a cobblestone decal to achieve the look that NBC Sports and the design teams desired. Material procurement and design therefore go hand in hand. ReSource New Jersey didn’t have a lot of time to prepare for the job and had to move very quickly to get material ordered and delivered to its warehouse. This included luxury vinyl plank in five different wood species native to South America that would be used in flooring, platforms and scenery. In addition, every single installation tool needed to be packed and sent to blackwalnut for shipping. This included lasers, copies of the plans, adhesives, materials, 100-pound rollers and patch. 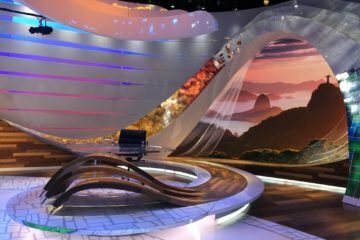 The items, along with set pieces, furniture and television cameras were then sent together via cargo ship to Rio and unpacked on site. When the installers arrived, everything was staged and ready to roll in the facility. blackwalnut created a floating access floor that had cables running underneath. ARDEX patching was applied to the seams of the plywood and layout began immediately. However, dimensions were a challenge. Since all layouts, cutting, and installation of the complex non concentric ellipses had to be done out in the field, the installation team had to make on-site decisions with blackwalnut based on scenery and camera angles. In order to relieve concerns regarding heavy rolling loads and 24-hour foot traffic, ReSource New Jersey used Spray-Lock Eco Adhesives throughout the project. Since designers and technical staff needed to use the space immediately after the flooring went down, this was the only way to ensure a successful installation and maintain the stringent timeline. 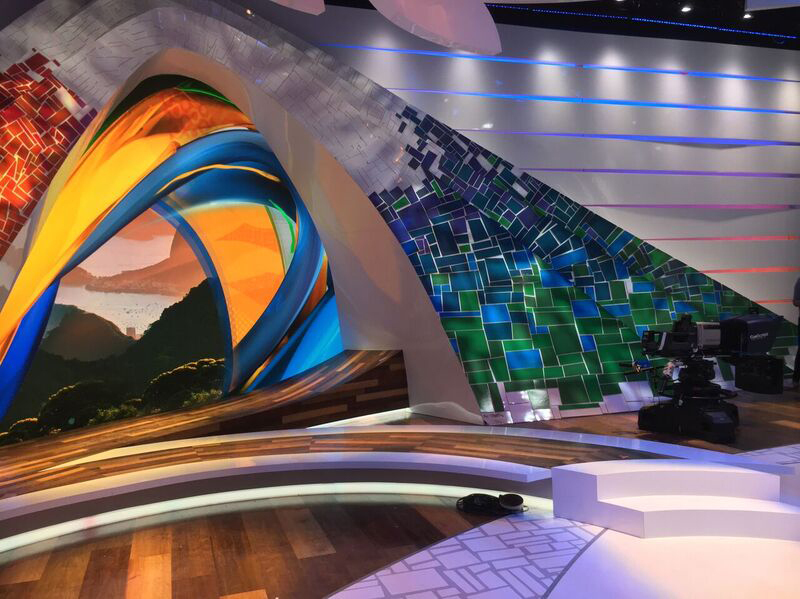 Thanks to a highly trained and focused team, ReSource New Jersey’s installation and the resulting studio outfits were built and completed on time, allowing NBC Sports an adequate period for camera set ups, rehearsals and eventual live broadcasting of the Rio 2016 Summer Olympic games. The studio was unanimously praised for its design aesthetics. Nearly a year after the games ended, the NBC Sports 2016 Summer Olympics Studio won an Emmy for Outstanding Studio Design/Art Direction. 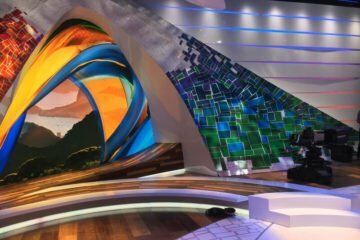 It was also awarded the Grand Prize at the Starnet Design Awards, and named a Gold Winner in Unique Installation and Bronze Winner in the People’s Choice category.